UPDATED 12/11/2009: The DOJ denies Jack Johnson's posthumous pardon requests. 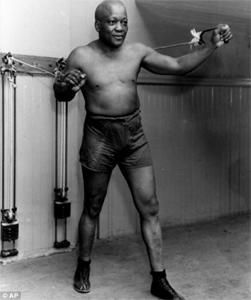 04/03/2009: John McCain has called on President Barack Obama to grant Jack Johnson – the first black world heavyweight champion a posthumous presidential pardon to restore the now deceased boxer his good name. Being a black woman and reading Johnson's story, I can't really find it in my heart to have sympathy for Johnson's downfall. My vote would be to put the pardon on the back burner or toss it in the trash all together. His heart had been broken by two black lovers: Mary Austin, whom he claimed to have married in 1898 (although there are no official records of this), and Clara Kerr, a Philadelphia prostitute who ran off with his best friend, taking his finest clothes and jewelry. He later took up with a succession of white women, all of whom he called 'Mrs. Johnson', whether or not they were married to him. 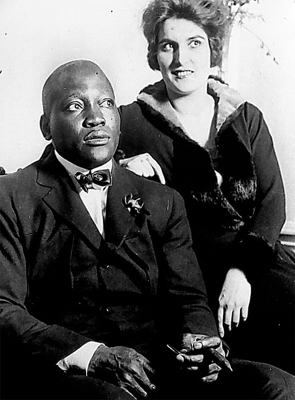 Johnson tried to avoid the jail time by marrying one of his “Mrs.”, an 18 year old prostitute named Lucille Cameron so that she couldn't be forced to give evidence against him in court but that didn't work. 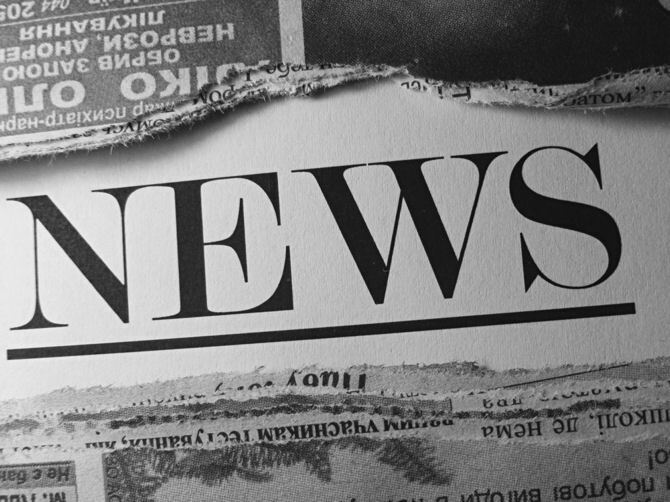 Federal investigators simply found another of his white harems, Belle Schreiber – a policeman's daughter turned whore whom he had traveled with for two years, then ditched, and who was all too willing to testify against him. He received the maximum sentence, a year and a day in jail, but, with Lucille at his side he fled the country (ran from the law) rather than serve his time, first to France and then to Canada. He then moved on to Mexico, where he fought several bouts, but seven years later, when he surrendered to accept his punishment, his career and reputation were ruined, just as the white authorities had intended. Maybe I shouldn't be so hard on Mr. Johnson with my verdict on putting the pardon on the back burner, or even better trashing it? There's no doubt I'm biased about his story, so what do you think? Should John Jackson (I mean Jack Johnson) be pardoned and his “good name” be restored simply because we have a first black president now? I mean really… Is it that important? After all, weather right or wrong, he did break the law during that time, and then he ran from it. What message would it be sending to criminals today if Obama pardoned him? –> That it's okay to run from the law, instead of fighting it the right way? I'm just asking.